There are thousands of historic paintings and photographs of the different styles of gowns worn by royal women over the last two hundred years to today. We all have our favorites. Some dresses though are exquisite in their simplicity and elegance. During research on the Dowager Empress Marie Feodorovna c1800, I came across the portraits (below) of Madame Royale, the daughter of Louis XVI and Marie Antoinette in 1815. The ladies-in-waiting dresses are beautiful. 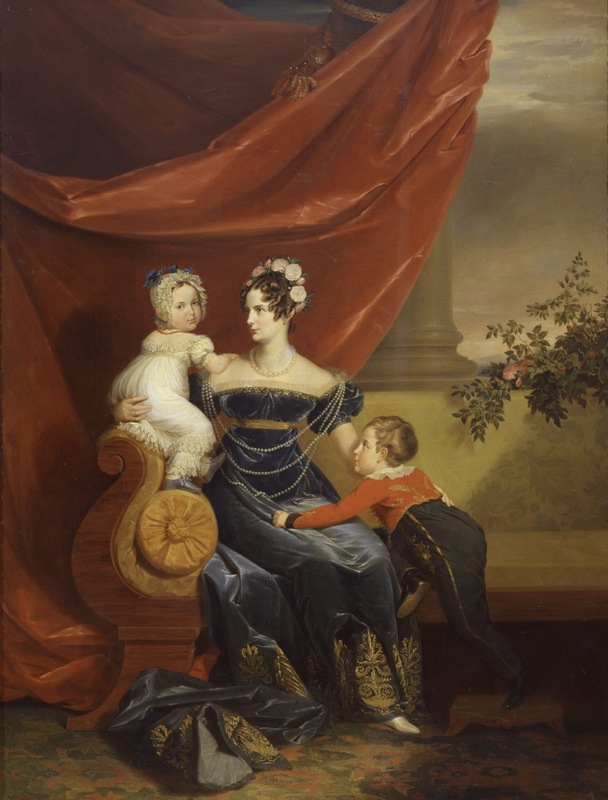 The portrait (below) of Grand Duchess Alexandra and her young children was painted by George Dawe in 1821. The future empress’ velvet gown with gold embroidery is stunning. 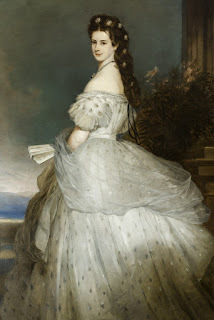 I was seventeen when I saw Winterhalter’s portrait (below) of Empress Elisabeth of Austria in Vienna. This ethereal painting does not represent the reality of women’s clothing during the victorian age although their delicate white lace summer dresses were lovely! 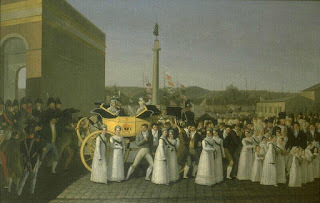 The brief empire style with its Greek influence, between the wide hooped side panniers of the 1780s and the crinolines of the 1840s, had been lost until our time, for example the beautiful gowns (below) of Crown Princess Mary of Denmark. 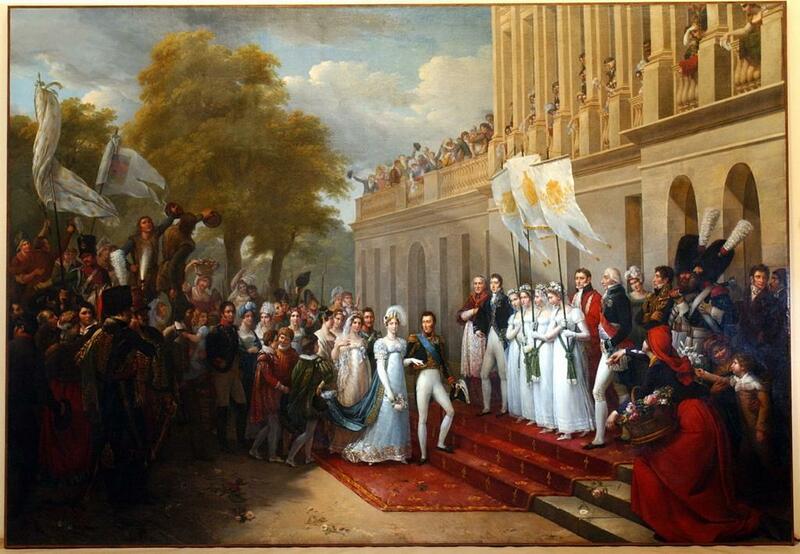 The Winterhalter is in Belvedere. Do you have a copy of the portrait in its entirety? Oh, certainly! I'd send it to you if I knew how. Can you put it on your site and link it here? I can then post on facebook the link to the portrait on your site?